This year was our third visit to New Orleans for the French Quarter Festival (http://www.fqfi.org/) and the first weekend of the New Orleans Jazz and Heritage Festival (http://www.nojazzfest.com/). 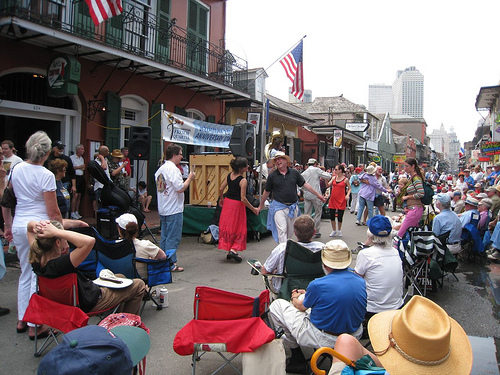 The Jazz Fest has fixed dates and the FQF moves about. Every now and then they are contiguous and we go visit. This happened in 1998, 2001 and now 2009. Oh yes! 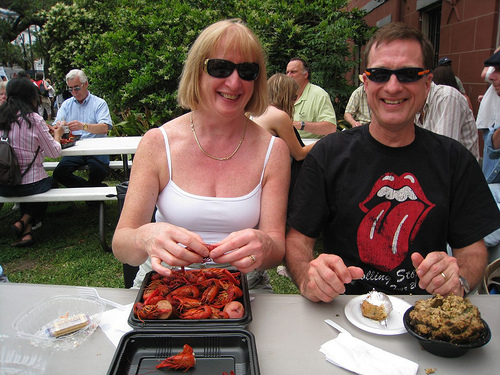 Mudbugs! Yummy! Now, do tell, what are you sporting on your glasses? Great pic!